If you are a caregiver for a frail elderly relative, you are not alone. Others have experienced all the questions and problems you are experiencing, and help is available. Information and services are provided by both private and non-profit organizations, and by the local, state, and the federal governments. Caregivers may face a variety of issues including managing property and finances, locating a nursing home or other residential care facility, finding in-home services, dealing with health insurance, Medicare, or Medical Assistance (Medicaid), and coping with conditions such as Alzheimer’s Disease. All of the links on this page leave this web site and go to sites maintained by other organizations. 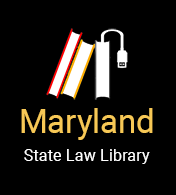 In Maryland, the place to start is the Senior Information and Assistance office at your local Area Agency on Aging, or call the Maryland Department of Aging at 1-800-AGE-DIAL for local phone numbers. You also can read information for caregivers on the Department of Aging's web site. If you are looking for resources in another state, the place to start is the Eldercare Locator, a service of the Administration on Aging and the U.S. Department of Health and Human Services (1-800-677-1116). The Administration on Aging provides access to a wide range of information about "Elders and Families" on their website. The web page of the National Family Caregiver Support Program may also he helpful. The American Geriatric Society’s Foundation for Health in Aging has a useful web site (www.healthinaging.org) that includes a section on Eldercare at Home with detailed information about specific health problems and locating help. For information on congregate meals and home delivered meals, see the Maryland Department of Aging’s web site. Congregate meals are offered at over 250 site throughout the state. Elderly people with limited income may be eligible for Food Stamps, even if they live with family members who are not eligible themselves. If you are hiring someone to help with the caregiving tasks, you will have to decide whether to hire an individual or an agency. If you hire an individual, you may have to pay social security and Medicare taxes and withhold income taxes. Find out about this by reading IRS Publication 926 – Household Employer’s Tax Guide (pdf) You can get a printed copy of the next edition when it is published from IRS by calling 800-829-3676). You may need help with a variety of tasks - finding services, advice, financial management, insurance claim management, direct care, respite care, and many other. The organizations listed below provide some of those services. The services of these organizations range from free information and free help to for-fee services or caregiver staffing. The Peoples Law Library and the Legal Aid Bureau have no connection with any of these organizations and are not recommending or endorsing them specifically. This information is offered only as a directory that you can use to find information that might not easily be found otherwise. Please note that the best place to begin your search for services or assistance may be the Senior Information and Assistance office at your local Area Agency on Aging. An better informed consumer is better able to make good choices, however, so you may find it helpful to read the web sites linked below or to call organizations listed to find out more about them.